Posted October 1, 2012 by Sabine & filed under Acupuncture, Headaches, Prevention, Stress. Tension headaches and migraines are affected millions of people in the UK every year. It is one of the main causes for a trip to the GP. About 80% of the population experiences headaches each year and it seems to affect women primarily. Now, NICE is advising acupuncture to treat tension headaches and migraines, acupuncture being the only prophylactic treatment for tension headaches. You can listen to fellow migraine sufferers Tina and Chris as to how acupuncture helped them with deal with headaches. What can you do to help tension headaches and migraines? Wrap a dish towel around an ice pack, a bag of frozen peas, or a cold can of soda. Apply the cold to the area(s) of pain. This can be the side of your head, around the ears or above your eyes for example. If you have a monster headache, don’t even think about trying to work through it. Go home, lie down, and rest. Drink if possible, however, if nausea is a problem, try sucking on some ice chips. Protect yourself from bright lights and loud noises. Go indoors, close the shades, and turn out the lights. If you can’t be at home, use sunglasses and a wide brimmed hat to filter the bright light. Deep breathing, visualisation, and meditation may help speed the passing of your symptoms. 6. Use acupressure (aka acupuncture without needles). 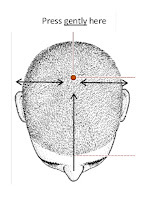 There are 2 acupuncture points you can use to ease off a headache. - Large Intestine 4: is located on the hand, in the web between the thumb and index finger. It is a great point to alleviate headache and sinus pressure. Apply some gentle pressure (You might feel a bit of an ache with the pressure) for a couple of minutes on each hand or until the headache has started to calm down. This point is contra-indicated in pregnancy! 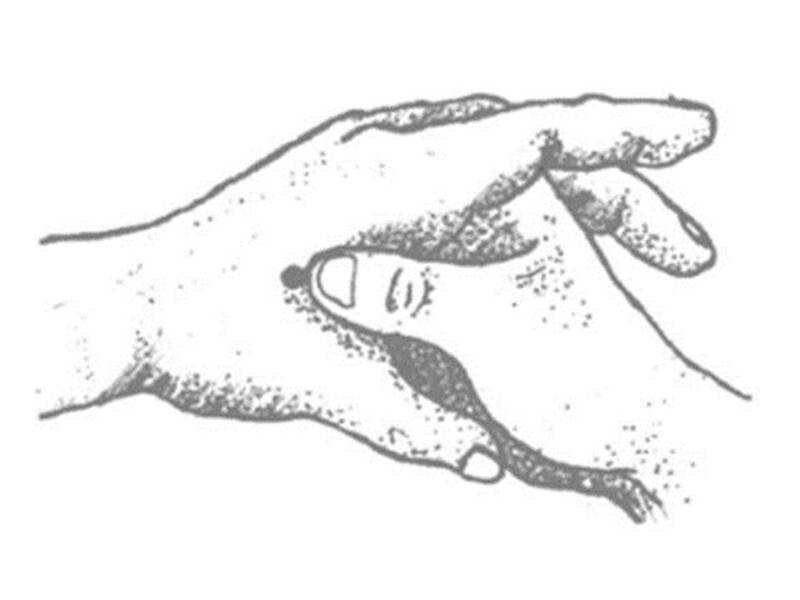 So don’t use this acupressure point if you think you might be pregnant. You can use the next one instead. 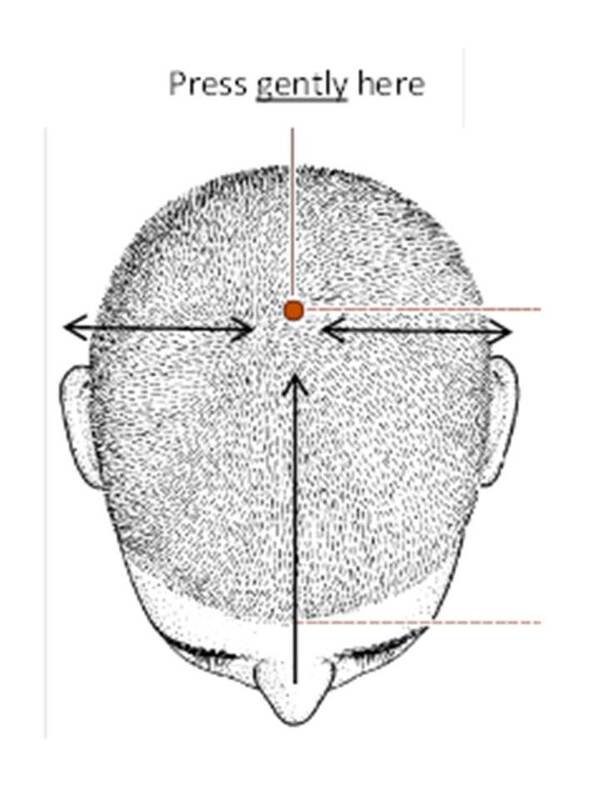 - Du20: is situated at the top of your head, at the crossing point in line between the nose and the top of the ears. Just put your finger at the top (Again you should feel an ache/bruisy feeling under your finger) and let the acupressure do its work. This is something you can do yourself or even better ask someone else to do it for you. It would be unrealistic to expect anyone to suffer through a migraine or headache without medication ever. If you suffer from recurring headaches, it is best to get checked up by your GP. He/she will be best able to advise both on analgesic (Usually paracetamol, ibuprofen, aspirin) and with any prophylactic treatment to avoid the recurring pain. Following the new guidelines, an even better choice would be to contact an acupuncturist to get rid once and for all of your headaches as well as stopping any medication. You can also look at what triggers your headaches, look at diet etc… For more ideas on what to do, you can also have a look here. Posted September 28, 2012 by Sabine & filed under Acupuncture, Diet, Prevention. -Well, I’ve caught a virus/bacterial infection. - Something in my body isn’t functioning properly (such hormones imbalance, allergies….). But what IF illness could be due to something else? In Chinese Medicine, illness is seen as an imbalance in the body. 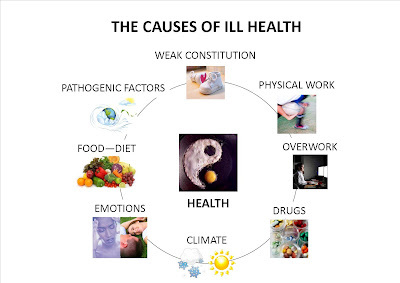 This can be due to the ‘invasion of a pathogenic factor’ (quite close to what we call having caught a virus), but also to another 7 other causes! These are basically our viruses and bacterial infections such as a cold or the flu. Remember the saying ‘We are what we eat’? Food has a huge influence on how well we are and a lot of the problems we have, including tiredness, hayfever, headaches, stems from what we eat. As our energy comes from the food we eat, eating the right food for us is crucial to get and stay well. As a very general rule, a diet that is varied with no food that is preponderant (such as lots of wheat or dairy) is better. Eating according to the seasons (nice, warming and comforting foods in winter and lighter, cooler meals including salads in summer) also makes a big difference. We rarely think about emotions as a cause of disease, unless perhaps when talking about depression (and even then, emotions, such as anxiety, are the expression of the disease rather than the cause of it). Stress is a big cause of ill health in our country. From IBS to chronic, recurrent headaches or back pain, stress is certainly one of the main causes of illness in my clinic. However, this is just not about stress. For example, sadness and grief affect the Lungs in Chinese Medicine and we know that people tend to catch cold and chest infections more easily when they have just lost a loved one. This is the climate that we are living in, such as a hot climate or a damp house. But it’s also man-made climates such as air conditioning in a car or working in an extremely hot environment (eg close to a furnace in a factory). Even wearing a cold wet swimming costume for too long can have some dire consequences on some women. I am sure I don’t have to tell you that some medicines have some strong side effects. Antibiotics can give bad diarrhoea, a sign that the antibiotics has weaken the digestive system (or to put it another way, that it destroyed the gut flora) . This is another disease of our modern society. Even when someone doesn’t bring work back home or works very long hours, we are always on the go, even when we are at home. Not content with long working hours, we also associate a frenetic game of squash or partying until 2am with relaxation, which are both as far it can be from true relaxation! The lack of sleep is also a big issue in our society. We are currently sleeping about 2 hours less than our grand-parents but obviously still need the same amount of sleep. One simple rule is to always try and go to bed before midnight to be a restful night of sleep. This is both about having a hard manual job or being on your feet all day along and not getting enough exercise! Obviously, being on your feet all day or having a physical job is more taxing on the body and the person will have to take particularly care of her energy levels. But it’s also about the right level of exercise for you (and your constitution). Within the western culture we tend to associate fitness with health, while they are actually very separate topics. It’s possible to be a world-class athlete who has back pain, emotional instability, and troubled digestion. Super-fit, but not at all healthy. It’s also possible to be perfectly healthy, without being able to jog more than a mile. While it’s easy for this healthy person to develop greater levels of fitness, because their body is prepared and has plenty of energy to draw upon; the athlete is already nursing injuries and has used up available energetic reserves to build their body, so finds it difficult to cultivate wellness. You can see why it’s important to match the level of exercise with your right level of energy/constitution so that exercise doesn’t become taxing and ‘unhealthy’. What about achieving good health then? What it means is that good health is the result of a careful balance between all these influences. 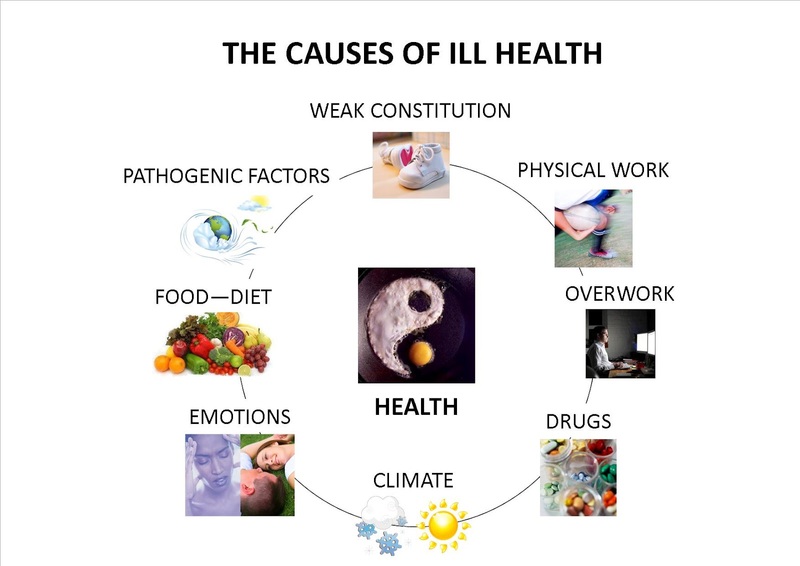 Trying to beat an illness by addressing just one these factors, such your level of exercise, will only give limited results but having a balanced diet and lifestyle will ensure long lasting health. Insomnia can be very debilitating and have some effects in all areas of life, such as work and relationship, as the tiredness get deeper…. Acupuncture is generally a very relaxing therapy and will help you manage the stress of daily life so it doesn’t mess up with your sleep. Its other strength is that it will help treat the root cause of your problems rather than just knocking you out for the night. Recent research has shown that acupuncture is efficient in treating insomnia and is superior to Trazodone with milder adverse reactions. Similar results were found in another randomized controlled trial and in a systematic review. Try and go to bed at about the same time every night, well before midnight to encourage a good quality sleep. Ensure that the environment you sleep in is conductive to sleep. No light, electronic devices or TV on standby, no mobile phone next to your bed. On the other side, reading a book, having a relaxing bath can encourage sleep. Some foods such as coffee, tea or chocolate can stops you from falling asleep. Alcohol can also disturb your sleep so a glass of wine to help you relax might not be the solution to your problem. Be aware that exercise and watching TV can also act as a stimulant. Eating late at night can keep you awake. It is better to avoid food after 7.00pm. 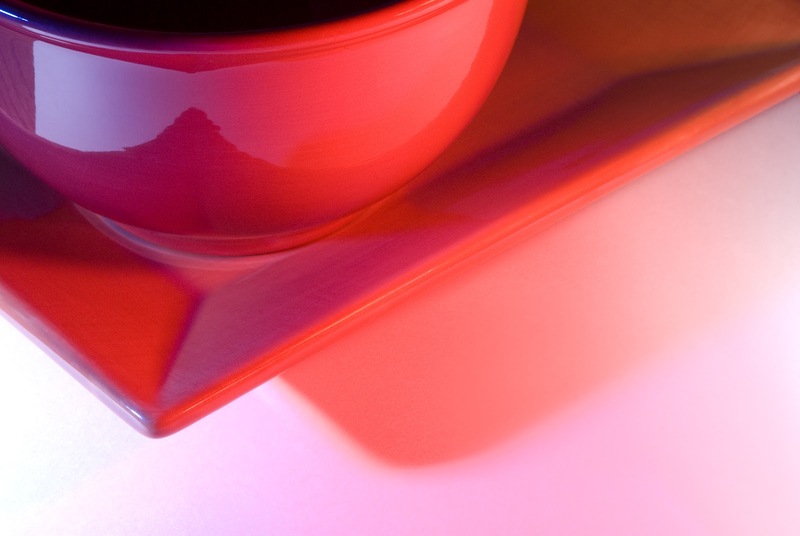 Nutrition is very important but just avoiding stimulants such as coffee might not be enough. Some foods can increase irritability and make us more sensitive to stress. This includes coffee but it might be that hot spicy foods aren’t suitable for you either. Sometimes, the reason for the insomnia is just plain tiredness. It is really the ‘too tired to get to sleep’ situation. In that case, a nourishing diet will help you recover your energy and solve your sleep issue at the same time. Because this is such a personal thing, it is best to ask for some advice from a professional. Your acupuncturist will be able to offer you some guidance as to which diet would be more suitable for you. Feeling cold or being too hot can both prevent you from falling asleep or can wake you up at night. Ensure that the temperature on your room is suitable and that you have enough covers. Be careful when you take a shower/bath in the evening that you don’t feel either too hot or too cold after it. Exercise during the day is a really good way to keep in shape and reduce stress levels. You can also try yoga or TaiChi for a gentle exercise that will help you relax at the same time. Massage can also be really good. And some techniques such as meditation or visualization at bed time also work well. As a general rule, if you have been suffering from insomnia for a while and no self-help techniques is helping you, it is best to go and see your GP to check that there is no underlying medical condition at the root of your problem. Also remember that some medications, such as HRT, medication for high blood pressure or antidepressants, can cause insomnia so it might be worth checking those too. Posted July 23, 2012 by Sabine & filed under Acupuncture, Headaches, Holistic Therapy, Migraines, Pain, Stress. Researchers don’t know what really causes migraines even though we do know that it involves changes in the blood flow in the brain. There also seem to be some sort of genetic component involved too as more than half of the people suffering from migraines also have a family member who is a sufferer. Research shows that acupuncture is effective at treating migraines. A new researchshows that acupuncture is efficient at reducing pain due to migraines. Research also shows that acupuncture is better than drugs and that it has somelong lasting effects (maintained improvement over a 3 years period). Diet has an important factor to play. Alcohol and coffee can both trigger migraines and so are strong spicy foods. But trigger foods can be different from one person to the other and you really need to check if any other foods such as cheese, chocolate or some fruits such as citrus fruits are also a trigger. Reduce STRESS in your life. Granted, this is not as easy as it looks but finding some time during the day, every day, to do an activity you enjoy is a very good start. And if you are happy with that, you can also try yoga, TaiChi or mediation to release all the stress accumulated during the day. Exercise helps releasing stress which can be a strong contributor to migraines (and headaches in general). Moderate exercise routine is usually enough. Sleep and good quality sleep is essential. Be careful to go to bed early enough (10.00pm is a good time) and avoid going to bed after midnight. Migraines can be particularly painful and can render a patient unable to participate in daily activities or go to school or work. Acupuncture can offer powerful relief with very few side effects. Acupuncture treatments are customized to each patient’s needs by working with the patient to determine their headache profile, migraine triggers, optimal diet and the most effective treatment approach. Posted July 19, 2012 by Sabine & filed under Back Pain, Pain, Pregnancy, Women's Health. Back pain, along with sciatica, rib pain or pelvic pain, is quite often seen as ‘part of the parcel’ in pregnancy. Due to hormonal changes associated with pregnancy, ligaments are getting softer which can put a strain on the joints of your lower back. The expanding uterus also moves your center of gravity and accentuates the arching of your back. All this explains why as many as three quarter of women experience lower back pain at some stage in their pregnancy. However, whilst this is a minor inconvenience for some women, for others it means a complete disruption to their life as they are struggling to walk, go up the stairs or have a much disrupted sleep. NICE (The National Institute for health and Clinical Excellence) is already advising GPs to offer a course of 10 sessions of acupuncture as a first line treatment for persistent, non-specific low back pain. And research is now showing that acupuncture is also beneficial for back pain during pregnancy. A Brazilian study (2004) showed that ‘acupuncture seems to alleviate low back and pelvic pain during pregnancy, as well as to increase the capacity for some physical activities and to diminish the need for drugs, which is a great advantage during this period’. Have some acupuncture. Pregnant women seem to be reacting even better to acupuncture and nearly women I have treated for lower back pain during pregnancy have reported some improvements right from the first treatment. Wear flat shoes. That seems to go without saying but good shoes can make all the difference. REST. A lot of women will find that their backache is getting worse as the day goes on, after a walk, doing too much or more than usual. Rest is crucial to recovery. Keep warm. In winter in particular, be sure that whatever you are doing, your lower back stays covered and protected. Don’t stand in wet swimming costume either. Try a massage but be sure that the person has been specifically trained in massage during pregnancy. For more information about Sabine Acupuncture, click here. 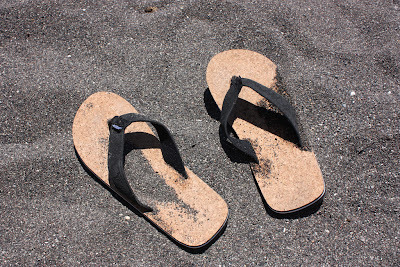 Posted July 2, 2012 by Sabine & filed under Acupuncture, Holistic Therapy, Needles, Prevention. Acupuncture has been used in China for thousands of years but it is still a recent addition to the way we try and heal ourselves. Recently we’ve heard about Andy Murray using acupuncture to help with pain and recovery before Wimbledon. And also about Claire Nasir as she was going through fertility issues. But even if acupuncture is better known now than it was 10 or 15 years ago, there are still lots of myths surrounding acupuncture. Here is a top 5 of the most common myths about acupuncture. This is possibly the most wide spread misconception about acupuncture. That acupuncture hurts in the same way that it hurts when you have an immunization or you have your blood taken. The reality is very different. I have talked about acupuncture needles and how thin they are before and the reality is that when needles are inserted, most people will not feel more than a little prick. However, it would be wrong to say that people will not feel anything at all. Once the needle is in, the acupuncturist will adjust the needle gently. Some people will then feel like a heaviness, a dull feeling around the needle. Some report a ‘ticklish feeling’ and others a strange feeling that they can’t quite describe. Whatever the feeling, this is one of the signs that acupuncture is starting to have some effect on the body. 2- Acupuncture works only if you believe in it. Another way to say that is that acupuncture is only placebo effect. Well it is true that for any therapy, including using drugs such as ibuprofene, having a positive attitude will make a difference. However, research has now shown that acupuncture is much more than that. We now know that acupuncture has some effects on hormones levels, it affects the brain in specific ways and alters blood flow. We also know that it can help for some specific conditions such as arthritis, nausea, headaches and migraines or back pain. Well there are two parts in this question. First of all, now that we have some research available on acupuncture, we know a lot more about the effects of acupuncture on the body and we are starting to have a good idea of how well acupuncture is doing for different type of conditions. Based on that, the WHO has actually listed some conditions that can be helped with acupuncture here. But most of all, in the history of acupuncture and Chinese Medicine, we know that Chinese doctors actually conducted very thorough and meticulous investigations on the body (including dissections etc…), on illnesses and on the effects of treatment on the patients. Many stand up very well to our modern scrutiny despite the fact they have been written more than 1500 years ago. A good example is the description, in the 6th century, of diabetes in terms not dissimilar to the ones we would now find in modern biomedical textbook. Around the same time, another doctor recommended the use of pig’s pancreas to control the disease, which we still use nowadays. 4- Acupuncture is only good for treating pain. However, acupuncture can do much more than that. It can be an excellent treatment for nausea, anxiety and depression, stress, fertility issues, support during IVF or cancer treatment, digestive problems, menopausal symptoms amongst others. The reason is that acupuncture works on the whole body and aim to re-establish balance. You will find more about acupuncture as holistic therapy here. This is actually a worry for quite a few people. They are afraid that to sustain the effects, they will need to carry on getting weekly treatments for the rest of their lives. The reality is that how long it will take to get the desired results vary greatly depending on the person and the condition. Most people will see some results within 5~6 treatments. Whether you want to stop there because you reach your goal or whether you decide to continue using acupuncture as a preventive treatment (something that the Chinese doctors were strongly recommending) is then up to you. Posted May 14, 2012 by Sabine & filed under Anxiety, Diet, Prevention, Tiredness, Women's Health. Do you remember your gran telling you as a child ‘What you really need now is a nice chicken soup. That will perk you up.’? Well she might have been right. A diagnosis of anaemia from your GP. There are different ways to support the Blood and one of those is a good home-made chicken broth. 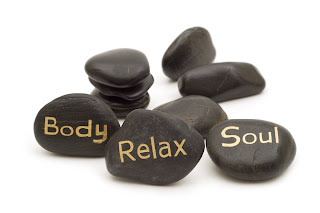 As simple as it might look, it is a really fantastic and efficient way to regain some energy. In particular, I would recommend that recipe to women who feel tired just after their periods or if, for one reason or another, you have been feeling particularly tired for a while. The carcass of a chicken (perhaps the one of a roast chicken), all the meat taken away. Put the chicken in a casserole and cover with water. Add the vegetables, the herbs and peppercorn. Bring to the boil and then lower the temperature so that it is gently bubbling away. Cover with a lid. Leave to boil for 8 to 12 hours. That’s it! Pour it in a cup and enjoy. If you see that during the water is running low, you can add some more water during the cooking. Very quickly, the liquid will become opaque. If it isn’t, it’s probably because the temperature is too low. You will need to turn to heat up a bit. You can use a slow cooker as long as the temperature is high enough. Or you can also ‘stop and start again’ at any point during the process, so you don’t have to spend the whole day at home! Once the broth cools down, it will probably look like jelly. This is perfectly normal. Posted May 3, 2012 by Sabine & filed under Acupuncture, Anxiety, Digestion, Pain, Stress. A few weeks ago, some news caught my eye. The Royal College of Obstetricians had released an opinion paper which supports the use of acupuncture and Chinese herbal medicine in the treatment chronic pelvic pain, so for conditions such as dysmenorrhoea, endometriosis, IBS and pelvic inflammatory disease. 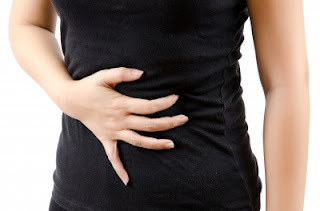 Patients regularly come to see me with digestive issues, including IBS. This isn’t surprising as more than 20% of the population suffers from IBS. It is a chronic, recurring condition that can be very debilitating for the sufferer. Symptoms of IBS include abdominal cramping and pain, and constipation and/or diarrhoea. Symptoms are almost always aggravated by stress but may also be aggravated by eating, and are frequently relieved after a bowel movement. In Chinese medicine, IBS is seen as an imbalance between the digestive system (what we call the Spleen) and the smooth flow of energy (under the control of the Liver). The digestive system might be imbalanced due to overwork, too much worry, eating foods that are too sweet, too greasy or simply too much food. Energy can become stagnant because of stress, some emotions and lack of exercise. Exercise regularly. 30 min of a moderately strenuous exercise will help regulate bowel movements, move the energy in the body and reduce stress. Drink peppermint tea, especially if you experience an alternance of constipation and diarrhoea. It helps the energy flow more smoothly, and support the digestive system too. Have some relaxing time during your day. 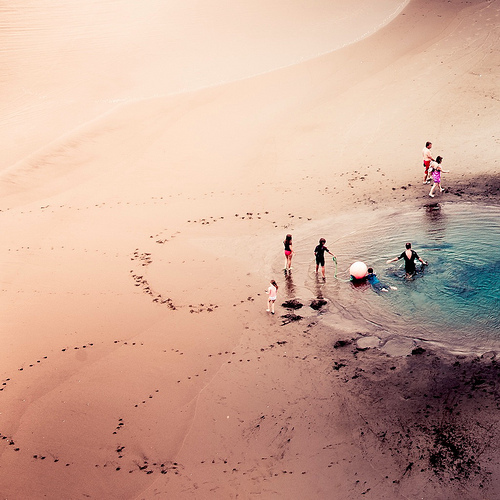 This is time to go back within, time when you spend doing something that you like and be 100% present. It can be doing some gardening, some yoga, some crafts, singing… The list is endless as long as it helps you relax. Of course, you can also do some meditation, some breathing exercise such as abdominal breathing or some TaiChi. If these tips do not work, I would really recommend going and seeing an acupuncturist. Apart from the very relaxing nature of the treatment and the fact that it does help regulate the digestive system, your acupuncturist will also be able to guide you and advise the best life-style changes for you, based on the Chinese Medicine diagnosis. My experience with my patients tells me that it does work but most importantly that, by making any remaining symptoms manageable, it is giving them their life back. Posted April 16, 2012 by Sabine & filed under Acupuncture, Stress. 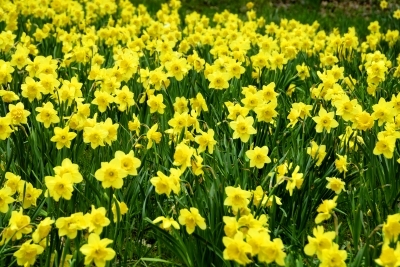 So the weather seems to get a little bit warmer and the daffodils are now passed their best. Spring is well on its way and with a bit of chance, we will see the first signs of summer soon. In Chinese Medicine, Spring is associated with the Wood Element. Wood is a very active energy with a forward, outward and expansive movement, an explosion of rebirth and vibrancy. It is time for progress and to get moving with new project. Whereas Winter was the time of the year to go back inwards and to consolidate what you had learnt or done, preserving your resources, Spring is the time of the year where you should stretch yourself and start new endeavours. Spring is the season of the Liver (the organ associated with the Wood and Spring). The Liver is responsible for the free flow of energy in the body. When constrained, Wood is the energy of anger and frustration. Inflexible wood will quickly break when it’s stressed. Likewise, flexible people are better able to handle stress and take life’s bumps and bruises in stride whereas anger can make us hard and unbendable. As Spring is associated with the Liver, it is also the best season to review of our diet and give it a nice boost and cleanse. It is also associated with the colour green and with our eyes. So, on a more practical point of view, what can you do to make the best of Spring? 1- Start a new project. Whether you are thinking of doing some much needed home improvements or if you want to make some life style changes, now is the time to do it. The energy of the Wood will help you planning your project and most importantly to carry it out. 2- Eat plenty of green vegetables such as green beans, broccoli or spinach and avoid sugary foods. 3- Work on your flexibility, with your muscles (why not trying Yoga?) but also with your mind. Try to be assertive (not angry), flexible (not rigid), and remain engaged with our eyes on the important people and projects in your life. 4- Keep your energy flowing by taking on a physical activity. This doesn’t need to be one or two hours of a very energetic activity. A 15 minutes walk with the dog or a gentle exercise such as Yoga or Tai Chi can be just as efficient. 5- Go outside and get in touch with all the changes that Spring brings. Posted January 16, 2012 by Sabine & filed under Acupuncture, Holistic Therapy. A recent article about the mind-body connection made me think. In this study, researchers have been able to show a link between doing some yoga (poses and meditation) and improving a very physical symptom (Atrial fibrillation). As an acupuncturist, this sounds obvious to me. Emotions, mind, the physical body, all this is connected together and part of the same entity. But what are the implications of that idea? Most people know that when they are stressed, one of their complains can get worse. Some people suddenly get very bad tummy aches and diarrhoea just before doing an important talk. Some patients know that when they are stressed their IBS is getting worse, others that they are getting more headaches. But this is not just about stress. One patient was having very bad skin problems which started just after the death of her husband. Her grief had weaken the Lungs which also controls the skin (or in other words, the skin and the emotion grief are related to the same organ in Chinese Medicine). This other person stops eating when she is worried (worry is linked with the digestive system). There are countless more examples. What a lot of people haven’t realised is that it is also working the other way around. If you can calm your mind and your emotions, you can also help very physical complaints. Very simply that by taking care of our emotional well being, we can help our physical complaints. Now the article I was reading was talking about yoga and meditation. Whilst this is certainly one way to calm the mind, I know of few people that will entertain the idea of doing half an hour meditation everyday. Doing some yoga isn’t always everybody’s cup of tea either. And it certainly doesn’t have to. It is about listening to some music and truly enjoying it, really listening to it instead of merely having it in the background whilst thinking about whatever is going on in our life. 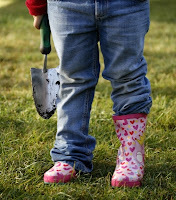 It’s about taking some time to do some gardening. Or singing or doing some cross-stitch. Or walking the dog late at night. 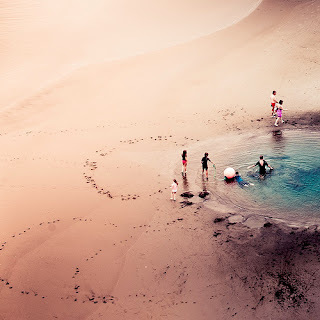 It is about taking time to go back within, an Yin activity, switching of from our busy lives that are all about ‘doing things’ (a very Yang activity). We all need some time for ourselves when we can stop doing things, thinking and planning. And we all have an idea of what would be a nice way to do it. So book some time with yourself for that special activity. Plan in your day that you will walk the dog before breakfast time. Write in your diary ‘Wednesday 6.00pm choir’ or ‘Saturday afternoon, gardening’. You might be surprised by the effect it can have on your body (and mind! ).